Note: Please note any payment for the below request needs to be in bank draft, cheque or postal order made out to University of Limerick. No cash is to be sent to us in envelopes. In order to obtain a copy of your official academic transcript, you will need to put your request in writing to the office, advising us of your student Id. number and a forwarding address. If you have forgotten your student ID number, please ensure that you advise your date of birth, your programme of study and the year you commenced your studies. There is a €10 cost for your official transcript so please ensure that you send either a cheque, postal order or bank draft made payable to the University of Limerick for the amount of €10. Forward your request to Student Academic Administration, University of Limerick, Limerick. Upon receiving your request we will endeavor to process it within 5 working days. Each student at UL is required to carry a current valid student identity card while on campus. The ID card is issued initially at enrolment. Student Academic Administration will issue replacement cards (at a charge of €10) during usual opening hours. In certain circumstances, cards may be posted to your home address. To order a letter, click on the relevant option and complete the information on the form. You can then send the letter to SAA@ul.ie, your letter will be printed on official headed paper, stamped and signed and posted back to you. Please ensure that you advise which address you request the letter to be posted to on your email. Upon receiving your request we will endeavor to process it within 5 working days. Graduates since 1989 whose original graduate parchment has been irretrievably lost or destroyed may request a replacement parchment. Please follow the instructions and complete the form below. There is a €60 fee payable for a replacement parchment. Please forward your request to Saundra O' Sullivan, Student Academic Administration, University of Limerick, Limerick. For students who graduated prior to 1989 please contact HETAC (NCEA) as they were the awarding body for degrees up to and including 1988. They can be contacted at 26 Mountjoy Square, Dublin 1 or telephone 01 6314567. Should you believe that your grade in a module is incorrect, you can recheck the grade by completing the Grade Recheck Request form up to two weeks after examination results are approved. (See the Academic Calendar for calendar dates). There is a €25 deposit for module rechecks (€50 for teaching practice/clinical placement) payable with the form, which is refundable only if the grade is changed as a result of the recheck. Remember grades can be lowered by a recheck, so be sure you really believe the grade awarded is incorrect before applying. Please submit the Form and the appropriate fee to the Student Academic Administration Office and we will notify you via your University of Limerick Student Email once the grade recheck decision has been received by the relevant faculty member. GEMS Year's 1, 2 and 3 and Professional Diploma in Mathematics for Teaching students should contact Edel.Moriarty@ul.ie with regards to Module Rechecks. Should the student not be satisfied with the outcome of the grade recheck, s/he may appeal the matter to Student Academic Administration for forwarding to the department head responsible for the module. The appeal must be made within two weeks of the publication of the grade recheck result. To appeal a grade, you must complete the appropriate form and pay a €50 fee. Please email saa@ul.ie if you require a grade appear form. The appeal must be on stated grounds and should include a full and complete statement on why you believe the grade awarded is incorrect. E.g. stating that you deserve a better grade is not sufficient grounds. Please refer to the Student Handbook for further information. The HOD decision is final. If you wish to change your address for correspondence you may complete Change of Address Form and submit to SAA@ul.ie or email your details to SAA@ul.ie. The Change of Address form is also available at the Front Desk, Student Academic Administration, Room E0001. Alternatively, you may also update your details on the Student Portal www.si.ul.ie. 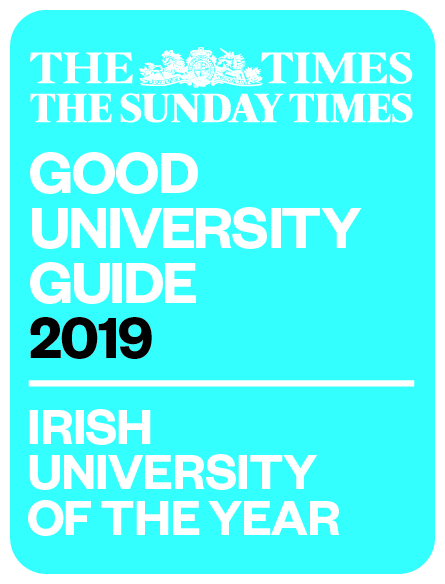 If you wish to exit from the University, please complete this Exit Form and post or drop in to Eithne McCarthy, Student Academic Administration. Please ensure that you attach your ID card to the Exit Form.